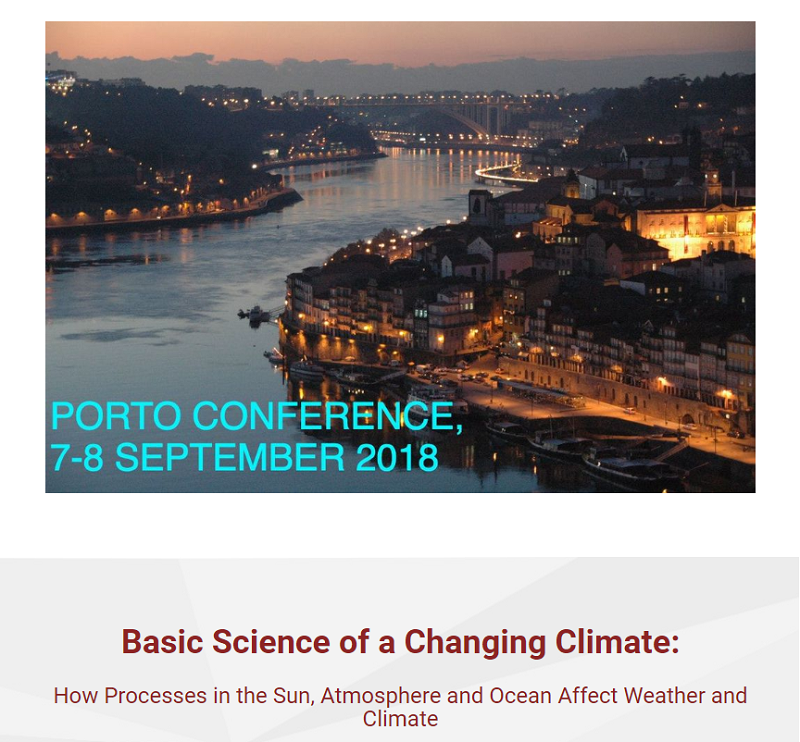 FLUP - Conference "​Basic Science of a Changing Climate"
Você está em: Início > Notícias > Conference "​Basic Science of a Changing Climate"
The conference is open to different opinions and interpretations of a Changing Climate. All persons are welcome to participate in this conference for the presentation of new material and fruitful interchange of ideas! We invite contributions on topics relevant to the theme of the conference: acceptable topics include all aspects of a changing climate, including sea level changes, effects of CO2, solar influence, effects of cloud cover or lack of clouds, ocean acidification, fossil fuels vs renewables, pretty much any topic dealing with a changing climate. Abstracts can be of up to 2 pages, Illustrations are recommended. Deadline for abstracts is June 15.